On my way to the station, I first notice a large truck parked in front of an old house. A minute further down the small street, this orange-haired youth greets me, and points at his shoes, saying “these are Japanese tabi.” Tabi are the mitten-like shoes worn by Japanese construction workers and farmers. He very willingly posed for his portrait, with the demolition site in the background. This is the start of a series on the demolition of two adjacent Nakano houses. One was, at one time, an elegant and understated Showa-era home, with clean lines and a few blue ceramic roof tiles as decoration. It’s neighbor is a more international-style home from perhaps the 1970s. The demolition took place during the heat of summer in August. Home demolitions give you a rare peak inside the homes of strangers, allowing you to see interior courtyards, old kitchens, and other “private spaces.” The demolition requires weeks of dismantling and trash sorting. There’s some machinery for the heavy lifting, but much of the energy for these small projects comes from youth. Great New York Times story about benefits of corporate gardens, including Pepsi-Co and Aveda. Improves worker morale, eating, health, and informal conversation across departments. Why doesn’t every company create a small edible garden? By adding native plants to storefronts and walls, and giving small plants to customers, corporations can brand themselves and create distributed habitat, too. I am not a big fan of the artificial tree or of Christmas. But Japanese love holidays, imported and national. I wonder whether the stations planned these small seasonal displays, or if they were the initiatives of long-time workers. I prefer the use of the flowering “Christmas” cactus at the Shinjuku Odakyu station. And below the JR Metro Aoyama Itchome station’s faux snow tree in all its slightly adorned glory. I marvel at the safety of Tokyo, the world’s largest city, where it is not uncommon to see well-dressed people passed out from inebriation on sidewalks, train platforms, and occasionally on top of plants. There seems something poetic almost about the juxtaposition of office worker, flower and soil. Like seeing early elementary school children riding the trains alone, seeing adults passed out in public makes me reflect on how rarely we can feel free, unguarded and safe in United States and European cities. Today’s New York Times has a great “Room for Debate” feature where four cultural experts discuss the beauty of the Japanese bento box. 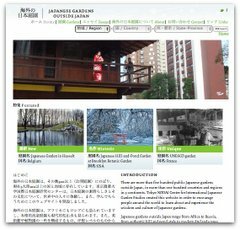 Although seemingly off-topic from Tokyo Green Space, the discussion expresses relevant cultural aesthetics and the importance of beauty, simplicity, and care. John Maeda, the president of the Rhode Island School of Design, talks about simplicity and making due in an island nation with limited natural resources. I like his view that Japanese value “making less into more,” and traces bento creation to Kyoto food, a fanciful illusion that masks limited food resources. Kenya Hara, art director of Muji and professor of Musashino Art University, talks about shokunin kishitsu, or craftsman’s spirit. By cleaning carefully, working diligently, or preparing lunch boxes with creativity, airport cleaners, construction workers and home-makers make the mundane into something beautiful. I also like how he claims Japanese have a special ability, “an incapacity to see ugliness,” that allows them to ignore urban chaos, ugly architecture and bad signage. In the drabbest office or construction environment, there is still a space to enjoy a perfect bento lunch. It is easy to see how some of these ideas are expressed in the beautification of public spaces: ordinary people working within the constraints of an often poorly designed urban landscape, creating small vignettes of beauty with a mix of artistry and care, and sharing these creations with minimal self-importance.